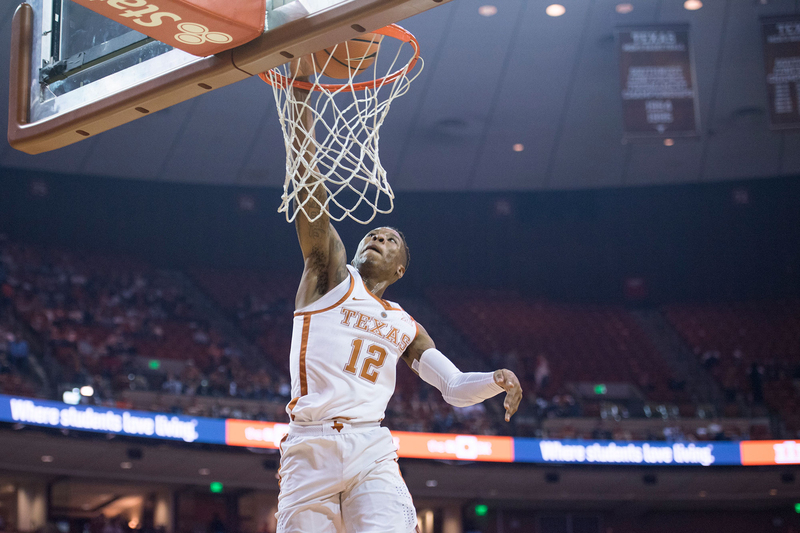 Guard Kerwin Roach scored a team-high 15 points, but the Texas men's basketball team still fell to TCU in Fort Worth, 65-61 (photo courtesy of texassports.com). FORT WORTH, Texas — Senior guard Kerwin Roach II scored a team-high 15 points to lead three Longhorns who scored in double figures, but it was not enough as the Texas men’s basketball team fell at TCU, 65-61. The loss dropped the Longhorns to 11-8 overall, and 3-4 in games against Big 12 opponents; TCU improved to 14-5 overall, and 3-3 in Big 12 games. Texas has lost four games against Big 12 foes by a combined 15 points. Despite the loss, the Longhorns still enjoy a 108-67 edge in the all-time series with the Horned Frogs. The other UT players to score in double figures were forward Jaxson Hayes, who tallied 10 points and pulled down six rebounds while blocking a career-high five shots, and guard Courtney Ramey, who had five steals and a career-high three steals to go along with 10 points. The Horned Frogs took a 35-31 lead into the locker room, a lead that held up through the second half to end with the four-point margin. Forward Dylan Osetkowski was a force on the glass for the Longhorns, who were outrebounded, 42-33. Texas will head back out on the road, taking on Georgia at 1 p.m. Saturday as part of the SEC/Big 12 Challenge presented by Continental. The game, at Georgia’s Stegeman Coliseum, will be broadcast nationally on ESPN2.